Clash Poll: Should Chicago Cops Prioritize Solving Murders, Or The Sketchy Smollett Case? Police can’t be everywhere at once. They have to prioritize cases. But what should those priorities be? Last week, a Chicago case made headlines because it had a Hollywood Connection. Jussie Smollett is a gay actor playing a gay character on ‘Empire’. Some of our readers probably couldn’t pick they guy out of a police lineup with Goldilocks and the Three Bears. So let’s get up to speed: This past week, he lit up social media with claims of having been targeted for attack by … wait for it… Trump supporters. There was an elaborate story with a lot of details not easily confirmed or falsified. 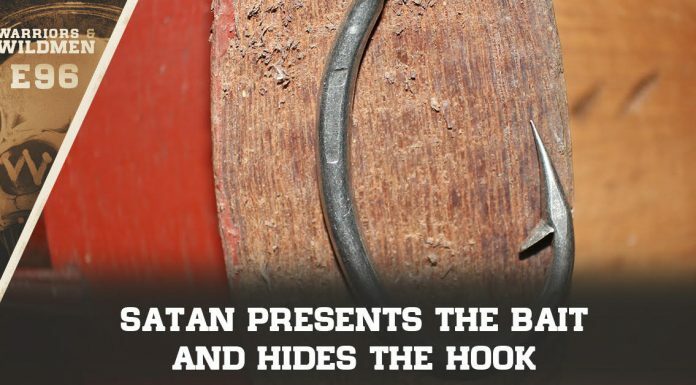 It had all kinds of over-the-top drama (the kind that sounded so implausible that it was immediately mocked on social media as a crazy story), and many people immediately cried ‘hoax’. Police are busy chasing leads and seem to be turning a lot of resources to that story. POP QUIZ: Guess How Many HOAX ‘Hate Crimes’ There Have Been In The Past Decade? FAKE NEWS: Why Did Liberal Suckers Eat Up HOAX Islamophobia Story? You might say you came by that skepticism honestly. So when I saw the buzz around this Smollett story, which could be legit — but sure has a lot of loose threads making it look sketchy — something didn’t seem right about it. So we did a little digging — easy stuff that any news network could have found on the old Google machine — and turned up an interesting figure. Chicago’s crime problem is made worse when murders like the wave that gripped Chicago last weekend go unsolved. CBS 2’s Derrick Blakley reports that while other big U.S. cities have shown improvement in arrests, Chicago lags behind. 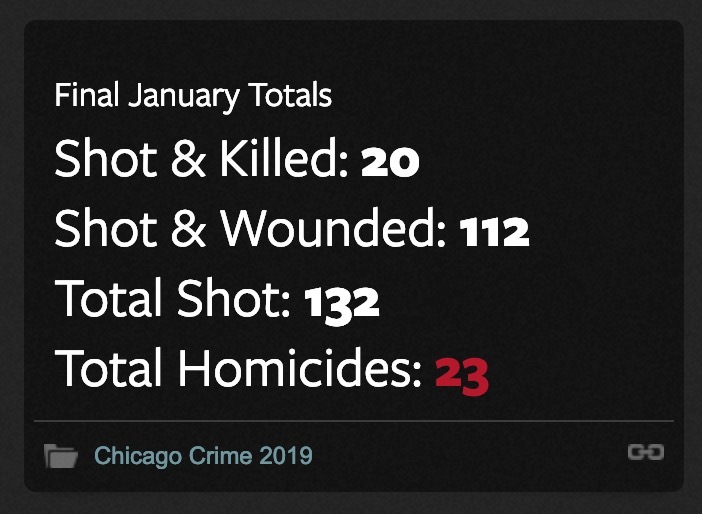 Two years ago, Chicago Police Superintendent Eddie Johnson announced plans to hire 200 new detectives to help solve the city’s soaring number of murders. …So far, the addition to the police force hasn’t helped. Back in 2000, the city solved 40 percent of murders that occurred that year. In 2009, 30 percent of murders were solved. The Smollett story is getting weird. Will it be a great comfort to the families of those murder victims that police are very Publicly persuing leads on the guys who may (or may not) have been targeted with a ‘hate crime’? Or does this seem like a little bit of elitist #HollywoodPrivilege? 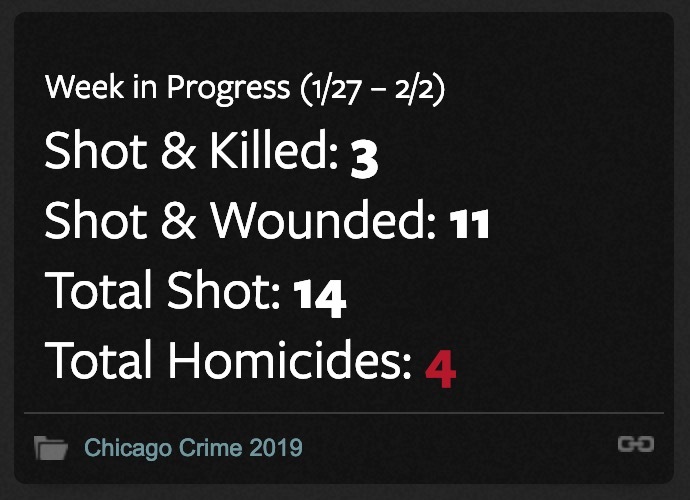 Our handy-dandy Chicago violence resource — HeyJackass — is helping us out again here. 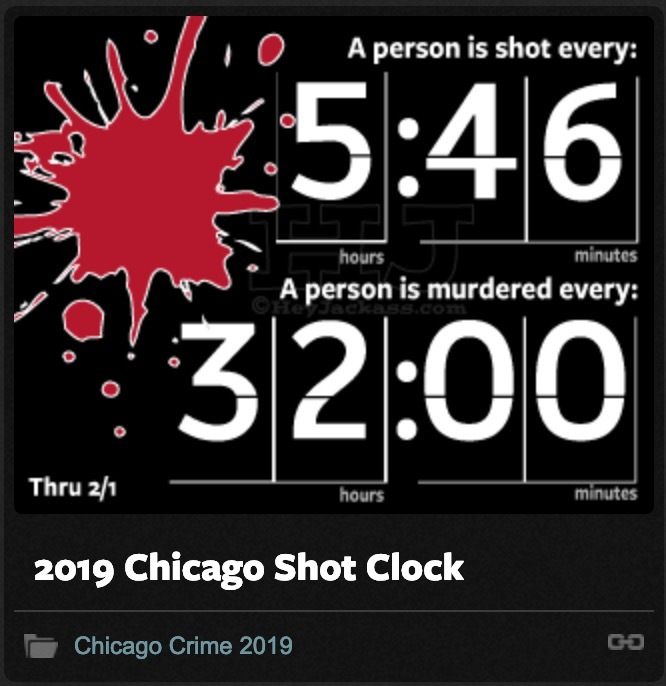 Here is Chicago’s ‘Shot Clock’, so named for how frequently someone is shot, statistically, in Chicago. The other number is how frequently someone is shot dead. And in the week that they’ve been chasing this story? It isn’t clear how much energy and police resources have been dumped into this case relative to any others. But let’s put it this way: have you seen any videos asking for help solving murder cases? Or just a fairly nondescript shot of two people walking on a bike path? We know the name of the celebrity who says he was targeted for specific abuse by Trump supporters because he’s gay, with reports of broken ribs, bleach, and a noose. But he still had his snack in his hand, even after having bleach dumped on him? The men, both of whom wore ski masks to cover their faces, allegedly shouted, “This is MAGA country,” a reference to President Donald Trump’s 2016 campaign slogan, “Make America Great Again.” Police have not confirmed those specific details and a Chicago Police spokesperson told The Daily Beast there was “no report” of MAGA taunts from the attackers. 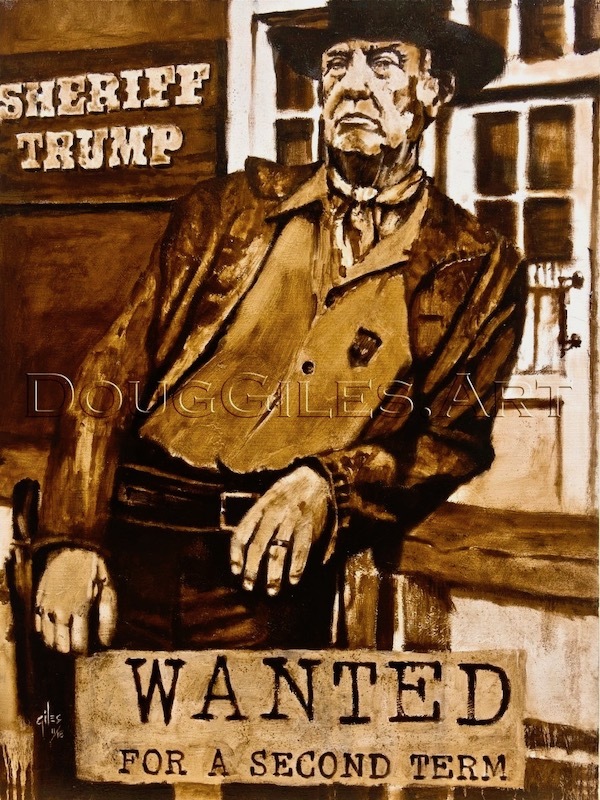 Smollett has since affirmed the claim that the alleged attackers referenced MAGA during the alleged incident. It’s a tough job they’ve got. What would you say to the Chicago police?